December 1, 2017 - No Comments! Some challenges you may find when you start your business, how to make search engine optimization work for you, how to generate leads, how to develop your brand awareness in a way that will increase awareness and many more challenges. I put together a list for you, after a lot of experiments and obstacles we ‘ve been through with Viral Loops. A great way to promote your business is via existing newsletters. When you publish a new post, find some editors of newsletters that fit your industry in order to promote your business. For Viral Loops - yes, it’s a viral and referral marketing platform - we have 2 referral marketing templates for this. 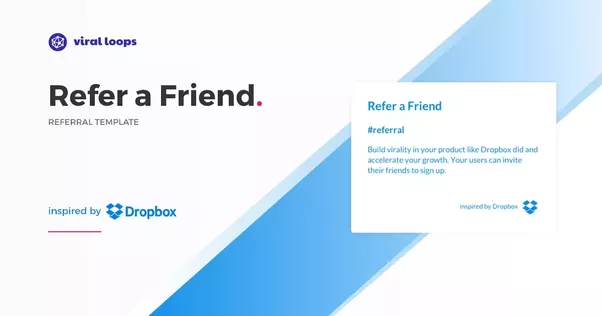 The Referral Program, inspired by dropbox in which you can reward people when their friends sign up. The other one is the Milestone Referral Program inspired by Harry’s and The Hustle, which is based on the concept of milestones. When you reach a specific milestone, say got 4 or 10 friends, you get something. If you don’t catch that, you don’t get anything. Some of your page/blog visitors, will leave without understanding your product. You should bring them back by using google ads, facebook ads etc. If you know your post that will make a lot of traffic, your custom ads propably will convert better. Create a post about a topic you want for your campaign and then, retarget its visitors. Search your product for any feature that is probably easy to promote. Try to find a feature that can stand by itself. Go for it and promote it! After some days, you will see that a lot of visitors will continue to explore your main product. This is a good tactic to reactivate users who have forgotten you. Just send a product update email and you’ll see them come back. Your product should be easy on technical and non-technical people to handle. A good user experience will make people use your product, be happy with your product and finally share your product. If the users talk/chat about your product in their everyday life, there is a big change that they will convert others into paid customers. This tactic is a must-do in B2B businesses because these products are often expensive. With a free trial, you are showing the user the value she will receive from using it. It makes it easier to sell your product after a free trial period because it makes you look more trustworthy. Which of these tips would work best for you? Try them and find it out! In the end of the day, probably a lot of the tips I gave you will help your business make its existing trial users into paid customers. Spend only one minute on your Facebook feed and you’ll see tons of new posts, images, videos and stories. Some of these you’ll see them again and again in all over the internet. A year ago, we kicked off Viral Loops and we’ve been through a lot of case studies and came across a lot of people who were marketing masterminds and growth hackers. You can’t predict what will go viral, but you can measure the performance of every action that you do. See what went right and what went wrong. Once you find your process on making things go viral then everything is simple. However, how is it possible to find this process? Can you remember a blog post or a story that performed better than any of your posts? Just focus on what you did for this piece of content, try to remember some key actions you were doing back then, that made your piece of content excel. At the end of every new post you should ask yourself; Will someone find this interesting? Will someone share this? Will this post give value to people? Will this post excite anyone? Υour content should awaken emotions and attract attention of influencers, that’s how you will get lot of shares. The truth is, there is not one secret formula that you must follow in your content while writing or editing. Write it like you tell it to someone. Use your experiences to explain things. Videos up to 5mins max. Having a nice logo and a remarkable branding. Use your own unique background music (created by a friend if you don’t know how). Have an intro and outro less than 10 seconds. Use keywords in your content related to trends and several events. Use some humor into content. 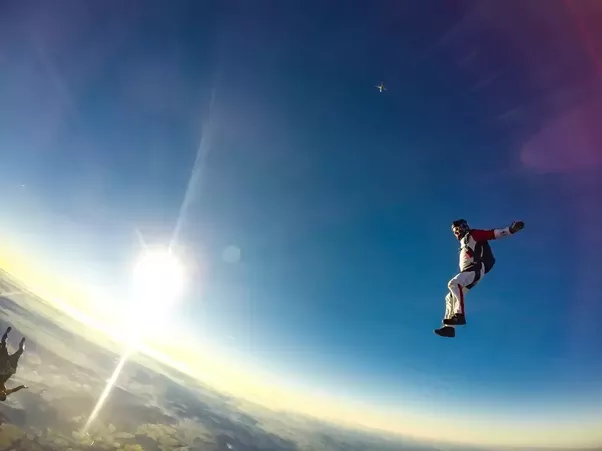 Add pictures and videos in your content. Things like that, possibly will help you create your best content. Nevertheless, they don’t guarantee you any success if you share your content in wrong channels. You should start testing the channels you want to target. The only tip that I have to share with you, is that your post or story should be something that people will share, something that a reader want to send to his/her teammates or friends and this will happen if you find channels where your audience lives. or the launch of the new Stranger Things season. Promote your content on the right channels and don’t stop testing if you don’t find a strategy and a flow that works for you. Be patient by building up your community little by little. Remember everyone had 1 follower at some point. You’ve just created your company and you might find yourself overwhelmed with the number of tasks and opportunities you have on your to-do list. Now, you should think for possible ways to promote your business with the lowest effort and maximum outcome. 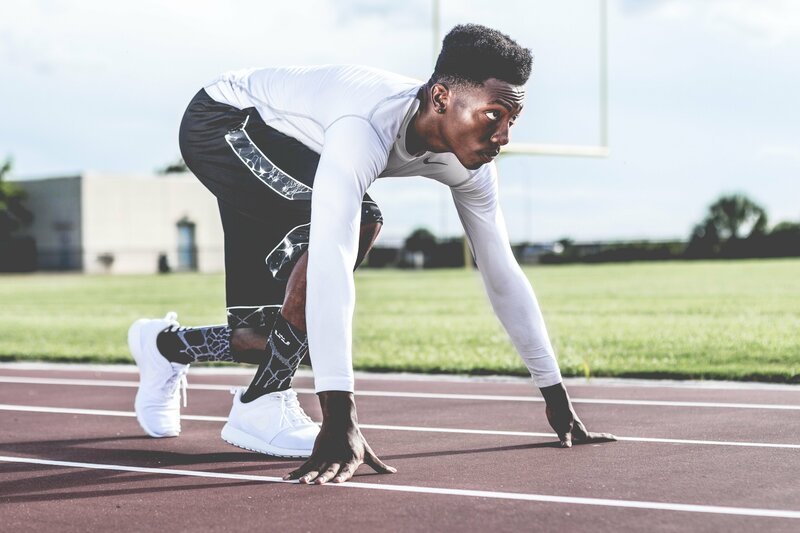 You’re not a huge team after all and you want to experiment fast. I know it’s too hard to check and find solutions for this issue, the reason is that whatever have worked for others might not work for you. Don’t worry, I’m here to give you my input. Since we kicked off Viral Loops, almost a year ago, we’ve met people who implemented and promoted some amazing referral programs. That’s the main reason I decided to write down a list of referral marketing strategies that will probably give you awesome ideas for your company’s early days. Jet.com | Shopping Made Easier - Groceries, Baby & More, as an Amazon competitor, knew that the only way to have a strong launch was to build some online buzz early on; and what’s better than a giveaway? So, they decided to incentivize participants with something no one has done in the past—shares of their business. In the end of the giveaway, the first on the leaderboard earned 100,000 shares of Jet.com | Shopping Made Easier - Groceries, Baby & More stock. Participants in places 2 through 10 got 10,000 shares each. Check more on this story, here. The concept behind Dropbox’s referral program was very simple. 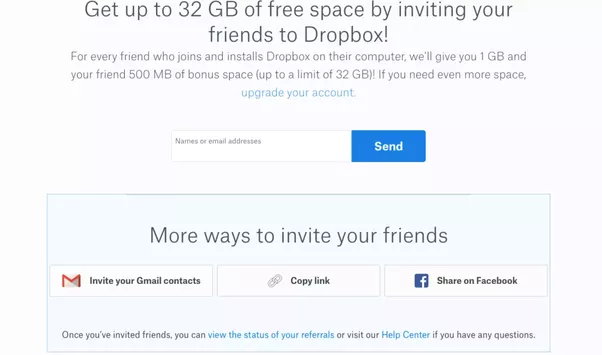 Since the product offered storage space in the cloud, they decided to reward people with more free space not only for referring their friends but also for accepting an invitation. In other words, we’re talking about a 2-side referral program for a compelling product, that rewarded both sides for completing the desired task; registering for Dropbox. 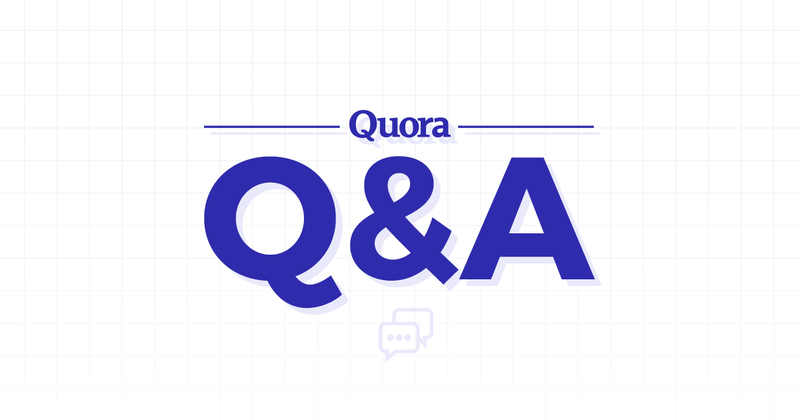 How about asking your users to talk about you to their friends, in exchange of exclusive swag? They have a dedicated landing page. An email from Sam Parr gets into your inbox and prompts you to refer friends. Their thought that the most powerful and effective way to launch their grooming brand was through a credible referral. Harry’s used the exact same approach as #3 The Hustle , resulting in a huge success. Well, initially it helps the company to get 100+ million dollars in funding and buying a 94-year-old razor blade factory. The website of the campaign was something really simple, yet catchy and effective; just a 2-page microsite. When people landed to their website, they were asked to give their email in order to participate in the campaign. After giving their email, people had to invite their friends to get the prizes. 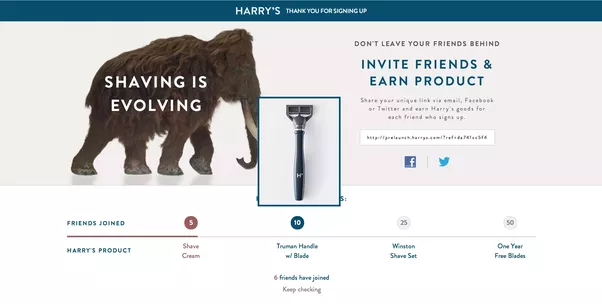 Harry’s followed the concept of a “Milestone Referral Campaign,” meaning that when people were reaching a specific number of referrals, they were winning the corresponding prize. Read more on Harry’s story here. After spending time to choose your business name, register a domain name, figure out legal structure, set up a website and order business cards, now it’s time for your company to take over the world! October 26, 2017 - No Comments! If you’re running a startup, you should check out some super insightful books from successful people inside the startup world. With these books you can optimize the way you run your startup and have some great experiment ideas in order to test them when the time comes. The last 5 years were the most difficult years of my life. I tried to overcome everyday difficulties with meditation, it helped me a lot when I was doing it during midnights. Meditation opened my mind and I started seeing potential in thing I couldn’t before. That’s when I realized that I must help my teammates reach beyond their limit, and start making magic. Therefore, I started reading a bunch of books about growth marketing, startups etc. and sharing my experiences with the rest of the team in our daily meetings. After a while, the team got as inspired and motivated as I was. So we were capable of executing a lot of creative ideas that we had in mind. I’m proud to be a part of this team, so here is the must-have reading list to keep everyone motivated, these are 10 books/e-books paid and free for you. 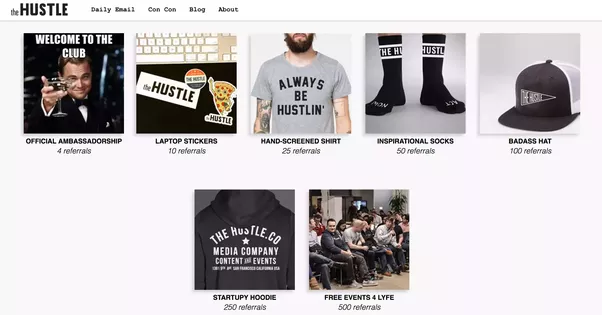 Let the Cash Flow: A Guide Full Of Growth Tactics For Your eCommerce Store FREE - by Viral Loops and ContactPigeon - you will get a deeper understanding of what can make or break your eCommerce store. In addition to that, it presents you tools and how you can utilize them to take your store one step ahead of the competition. The $100 Startup PAID - by Chris Guillebeau - shares ideas for living life in a non-conventional way. 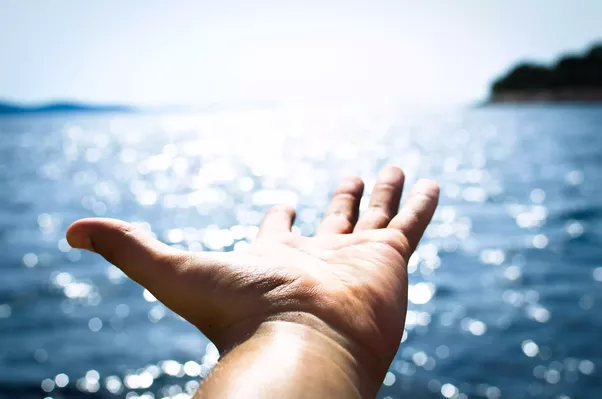 He has never felt trapped in a career office job, has been his own boss in a number of entrepreneurial ventures and enjoys spending his free time in what he personally finds to be a fulfilling way. Zero to One: Notes on Startups, or How to Build the Future PAID - by Peter Thiel - a Legendary entrepreneur and Investor shows how to build a great business and a better future. Four Thousand Days: My Journey From Prison To Business Success PAID - by Duane Jackson - after being arrested in the US in possession of 6,500 ecstasy tablets he served time in prison on both sides of the Atlantic.On his release he started a business with the help of the Prince's Trust. A business that he grew and sold four thousand days after his release from prison, making him a millionaire many times over. The Power of Broke PAID - by Daymond john - John has been practicing the power of broke ever since he started selling his home-sewn t-shirts on the streets of Queens. With a $40 budget, Daymond had to strategize out-of-the-box ways to promote his products. The Hard Thing About Hard Things PAID - by Ben Horowitz - cofounder of Andreessen Horowitz and one of Silicon Valley's most respected and experienced entrepreneurs, offers essential advice on building and running a startup—practical wisdom for managing the toughest problems business school doesn’t cover, based on his popular ben’s blog. Will it fly? PAID - by Thomas K. McKnight - introduces the first intuitive, practical tool for assessing and refining new business ideas. Fast, confidential, and reliable, it addresses 44 key elements of success, distilling experience from more than 200 business launches. Knowledge for growth hacks comes to us from a lot of different sources, either for free or in a highly paid manner. The truth is that for one to obtain it, all it takes is the will for it. Two years ago, before starting our first tech startup, Viral Loops, we built one of the first growth marketing agencies, GrowthRocks, so we’ve seen and analyzed the behavior, the aim and the strategy from a lot of growth hacks out there. We have tried to explain and interpret several growth hacks’ case studies and growth hackers, from Sean Ellis to Harry’s Prelaunch Campaign and from Airbnb’s success story to Josh Fechter. 1. Jet: Jet.com is an eCommerce store competing Amazon. Before they launched, they wanted to come up with an epic campaign and gather hundreds of thousands early adopters. So, they built Jet Insiders. This was an unusual referral leaderboard contest. With this campaign Jet made a hit. The top referrer was Eric Martin. Martin spent more than $18,000 dollars in Facebook ads to drive more referrals. 2. 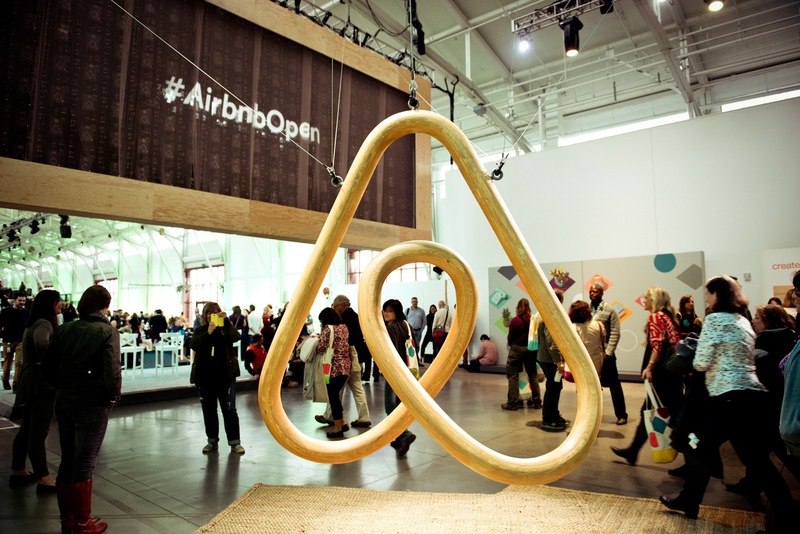 Airbnb: Well, you all know it. It’s a website that lets people take advantage of their empty rooms by renting them to complete strangers. The growth hack here was the option they gave to users to post their listing on Craigslist as well. Craigslist is a worldwide website that was getting a lot of people to view the listing and generate a link back to Airbnb’s site, increasing their search engine rankings etc. As of spring 2014, the platform had 10 million guests and 550,000 properties listed worldwide, along with a $10B valuation! 3. 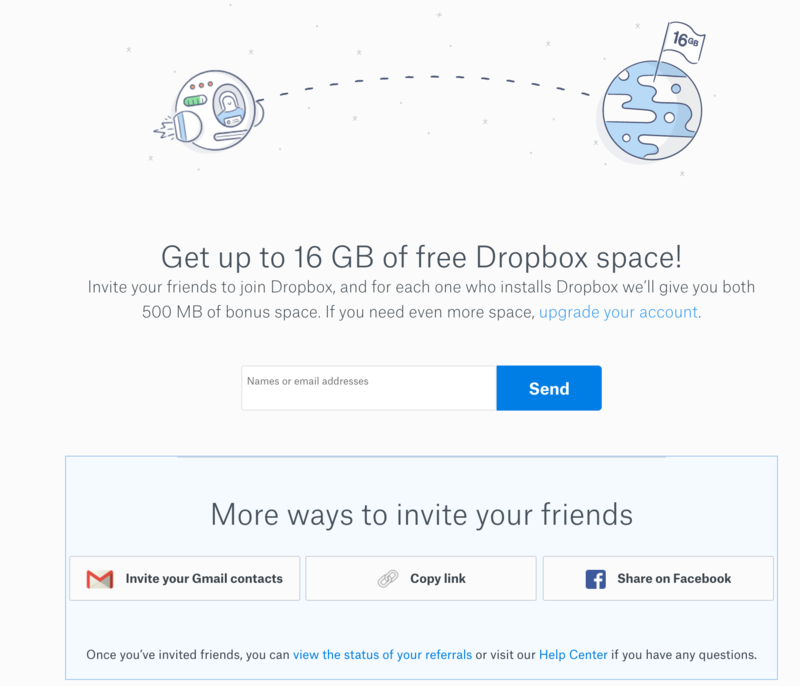 Dropbox: When a user referred a friend, they both got 500MB increase in storage. 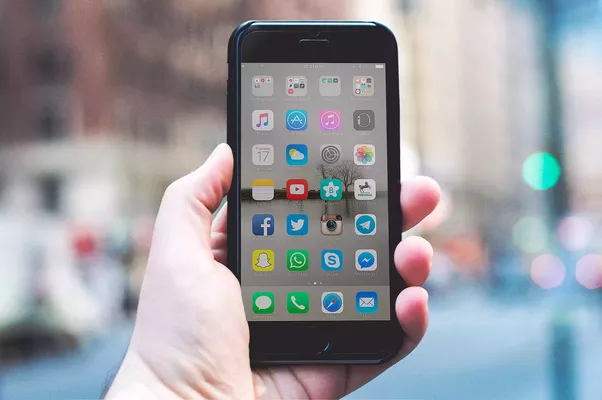 You could even connect your Facebook and Twitter accounts in order to get more free space. Also, they had a video on their homepage showing the product along with an easy signup process. Dropbox’s Referral Program increased their signups by 60%. Furthermore, if a user wanted to share a file, there was a “get link button”, too. With that, the era of Megaupload, Rapishare, etc. was already over. Dropbox now, is worth $4 billions! 4. 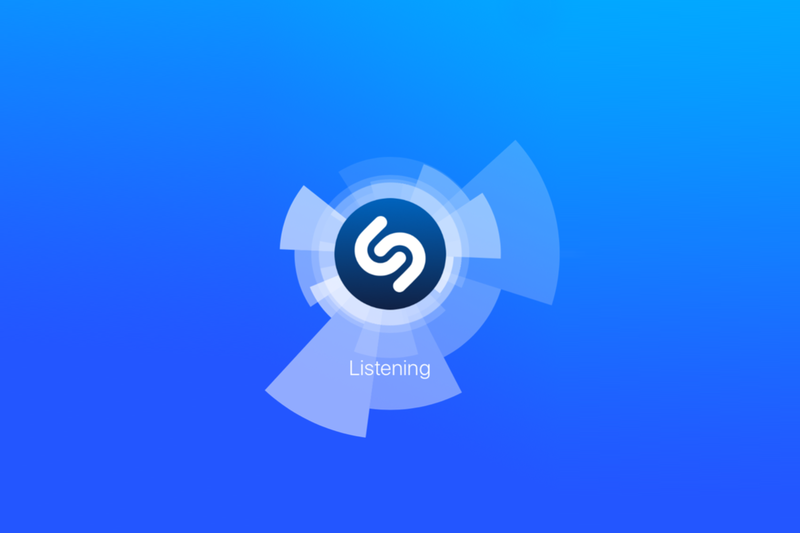 Shazam: One of the most popular music apps out there. It allows users to search and identify unknown songs by recording a part a song and matching it to their huge database. Shazam’s growth hack was that it encouraged its users to hold their smartphones above their head and near the speakers, so people around started ask “what’s happening with him/her?”. BOOM! Their main marketing channel was, word of mouth. Shazam has 500 million downloads until now! 5. Netflix: The company started as a DVD rental business. 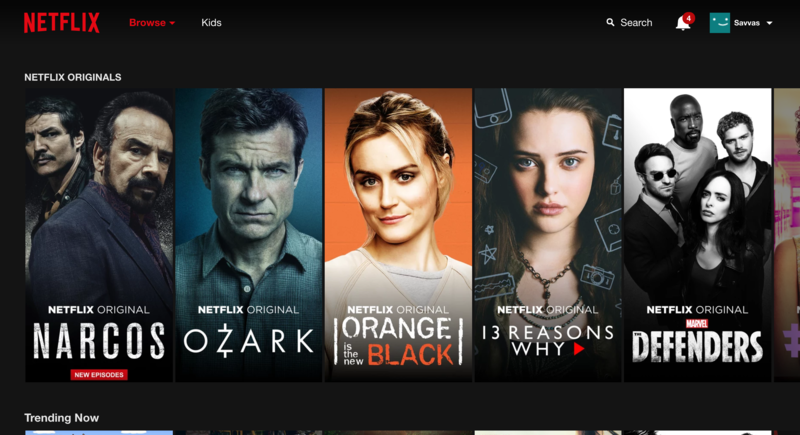 Its strategy was to reach early adopters with a soft launch message that Netflix offered titles that weren’t easily available elsewhere. Netflix was releasing all episodes at once and this forced the brand’s social media marketing team to level up, as opposed to the traditional television that only allows social media networks to release information parallel to the show’s plot. Netflix now, has 81 million subscribers, more than 23 million fans on Facebook, 2.03 million followers on Twitter and 1.7 million followers on Instagram. 6. Spotify: Probably the biggest music app out there. It provides widgets to allow artists to promote their songs and playlists on their websites or Facebook etc. By clicking on a widget, you must create a new Spotify account in order to listen the full track or open the existing app on your device. This tactic led to more users, of course. The main difference from Apple music, Deezer, etc is that you can have it for free (with few ads in-between the tracks). 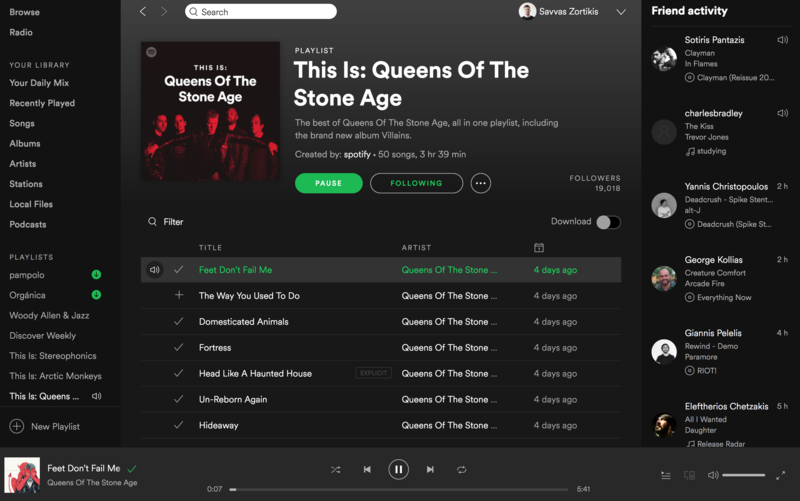 If you subscribe for a paid account on Spotify, the ads will disappear for ever. Spotify has more than 60 million subscribers and 140 million total users. and many more like making sure your business stays compliant and your customers happy and loyal. I am about to introduce you some very insightful books, videos, blogs and overall resources which will help you understand e-Commerce marketing to grow your business. Shopify: a complete e-Commerce solution that allows you to set up an online store to sell your goods. It lets you organize your products, customize your storefront, accept credit card payments, track and respond to orders. Magento: an e-Commerce platform built on open source technology which provides online merchants with a flexible shopping cart system, as well as control over the look, content and functionality of your online store. WooCommerce: a free e-Commerce plugin that allows you to sell anything, beautifully. Built to integrate seamlessly with WordPress. Bigcommerce which offers a simple solution to start an online store. If you have a product or service to sell online, you will need build your store. Ecommerce Training Academy, contains some Advanced e-Commerce courses. Udemy, you can find a lot of courses here easy to understand and axecute. Khan Academy, is growing in popularity, because it has free e-Commerce courses. Class Central, study free online e-Commerce courses and MOOCs from top universities and colleges. Ecommerce Training, a place of e-Commerce courses cover every aspect of online retailing strategy and practice. 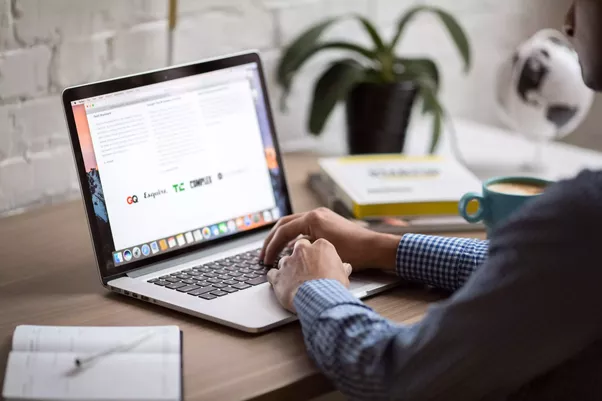 Alison, a free online course introduces the learner to various strategies used by firms and organizations to attract and retain customers to their e-Commerce store. Growthrocks’ blog, you can find several interesting posts easy to understand about e-Commerce. eCommerceFuel, a private community for Store Owners. Kissmetrics, you can track, analyze and engage to get more and more customers into your Store. Bigcommerce, full of tweaks you can make to earn trust in you e-Commerce site and make your visitors to buy. Full Playlist of BCIS 5379 by Dr. Schuessler, full of tips. Full Playlist of Ecommerce by John Drake. Ecommerce Course Overview by Effective e-Commerce. Ecommerce SEO by Brian Dean. What is ecommerce? by uFaber. An eCommerce ebook that you'll regret not downloading – Inside Viral Loops by Viral Loops, if your e-Commerce doesn’t perform the way you expected, read these lines here for FREE. The 4-Hour Workweek by Timothy Ferriss, it shows readers how to live more and work less. Zero to One by Peter Thiel, if you want to build a better future, you must beleive in secrets. Lead with a Story by Paul Smith, add stories in your life. The Lean Startup by Eric Ries, is a new approach being adopted across the globe, changing the way companies are built and new products are launched. Growth Hacker Marketing, by Ryan Holiday, a new generation of megabrands like Facebook, Dropbox, Airbnb, and Twitter haven’t spent a dime on traditional marketing. July 31, 2017 - No Comments! But with their prelaunch referral campaign, they achieved something unique. They managed to gather more than 100,000 emails in a single week and build a strong brand. images with the prizes etc. Their goal was to let people easily understand the referral concept and how they can win several prizes. Nobody believed that a small barber shop could reach so much publicity via a milestone referral program. This success led them to buy a 94 year old razor blade factory, hire more than 500 employees, open a barber shop in New York City and publish their own magazine! Along with the above accomplishments, their digital store is one of the fastest growing in the industry. There are many ways to delight your customers. A nice approach is to reward them for telling their friends about your products/company. You can say that Harry’s team knew that, but what if they didn’t? We can tell that they surely knew that word of mouth was probably their best marketing channel. And this is what they did! They ran a pre-launch with a referral campaign. Every day, you get a lot of emails which end up in spam folder. Imagine getting an email from your best friend or someone you trust, suggesting a new product/company → boom! → you are immediately interested in checking it. This is called referral marketing. 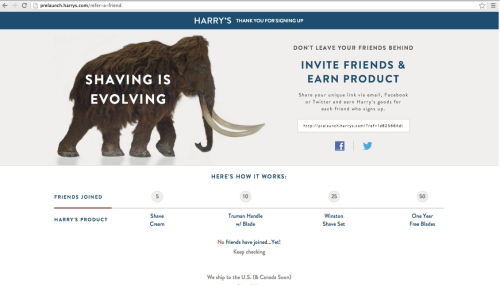 As I said in the beginning, Harry’s prelaunch referral program is turned off. At this moment they are trying to figure out some new mechanisms as effective as their previous milestone-style referral campaign. It helps design in 4 simple steps, a campaign similar to Harry’s. Either you are a Founder or not, at the beginning of your Startup journey, you should check some learnings and experiences from successful people. These books will challenge the way you think and will teach you some key things on how to run a web startup and many more. If you want to think creatively and beyond your limit, add reading as your daily routine. In no time you will find yourself in a whole new another universe where everything is possible. If you want to learn more, you have to read more, so here is the 2017 (updated) must-have reading list, with 10 books/e-books paid and free to grow your startup. by Ben Horowitz, cofounder of Andreessen Horowitz and one of Silicon Valley's most respected and experienced entrepreneurs. 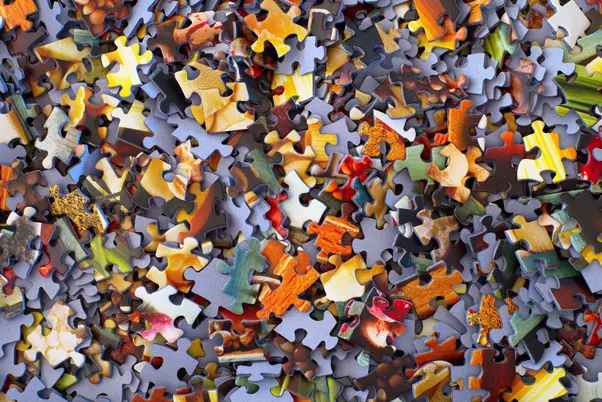 by Jake Knapp, John Zeratsky and Braden Kowitz, three partners at Google Ventures, a unique five-day process for solving tough problems, proven at more than a hundred companies. by Viral Loops and ContactPigeon, you will get a deeper understanding of what can make or break your eCommerce store. In addition to that, it presents you tools and how you can utilize them to take your store one step ahead of the competition. by Jessica Livingston, composed of interviews she did with the founders of famous technology companies concerning what happened in their early years. by Peter Thiel, a Legendary entrepreneur and Investor shows how to build a great business and a better future. by Nir Eyal, this book shows us how to apply our understanding of habits into making products for business. by Sujan Patel and Rob Wormley, these 100 growth tactics were compiled based on strategies and techniques that Authors have used to help hundreds of clients move the needle and actually grow their businesses. by Ryan Holiday, it shows how the marketing game has changed forever. He explains the Growth Hacker Mindset and provides a new set or rules-critical information whether you’re an aspiring marketer, an entrepreneur, or a fortune 500 executive. by Gabriel Weinberg and Justin Mares, a Startup advice tends to be a lot of platitudes repackaged with new buzzwords, but Traction is something else entirely. by Intercom, learn what it takes to build a startup from the ground up. Feel free to copy and share, this book list, with your friends and colleagues. Then ask yourself: We can test a few new things, can’t we? July 18, 2017 - No Comments! Not moving away from Greece. When I graduated, I had the chance to move to Sweden or the UK. I didn’t take this decision because I had a vision or knew what I was doing. It was just the easiest thing for me . I was playing safe. But, you would say that this was not the best decision. In 2010, Greece was under a great recession. No jobs. No money. No opportunities. 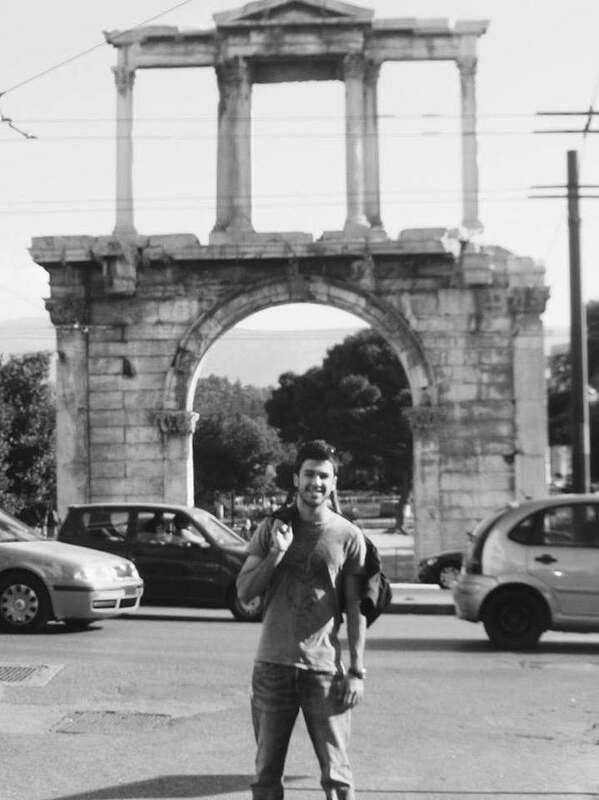 Despite there were—and still are— great multimillion startups in Greece, I didn’t have a network back then. But, I stayed. With no plan. When I graduated I worked as a bartender to make ends meet. I wasn’t happy and wanted to do something else. I started looking for a tech job. Very few people called me for an interview. So, I decided to learn programming. I took some classes on Udacity and Coursera. I mastered databases and scripting languages, like Python. 8 months later a software company called me. After 2 tests and 3 interviews, they finally hired me. When you take a decision, you really don’t know if it’s the right one. What would happen if I have moved abroad? I might be a multimillionaire, or just broke. No matter the choices you make, if you have a clear goal, you will get there. As Artyom mentions below, the prelaunch referral campaign of Harry’s is one of the best case studies out there—so I’d like to double down a bit. The idea for the campaign was built by Jeff Raider & Andy Katz-Mayfield, Harry’s founders. Their belief that the most powerful and effective way to launch their grooming brand was through a credible referral. Thus, they focused on building a campaign that helped people to spread the word to their friends—and not just spending a ton of money on Google and Facebook. The website of the campaign was something really simple, yet catchy and effective, 2-page microsite. It was built on the concept of a milestone referral program. A big bold image making it clear to people what Harry’s is all about in the first 5 seconds. They could also allow people to join the campaign with Facebook login—this would give them more data and also increase conversions. Younger people may not have an email at all or not checking it constantly. 2. After giving your email, people had to invite their friends to get the prizes. Harry’s followed the concept of a “Milestone Referral Campaign,” meaning that when people reached a specific number of referrals (milestone) they instantly win the corresponding prize. On hover of each milestone, you could see the product’s image—if they had a design with the image to be displayed by default, they could have higher conversions. Getting a prize was super doable—who hasn’t 5 or 10 guys that shave? They also used a great series of emails to re-engage the people participated in the campaign and keep inviting friends to get to the next milestone. According to Jeff Raider, the referral mechanics were amazing. 77% of the emails were collected via referral, meaning about 20K people referred about 65K friends. This means referrers, on average, referred more than 3 friends.